Gosh, I seem to get quite exhausted by the end of the day and blogging seemed such an effort so another week has gone past already. 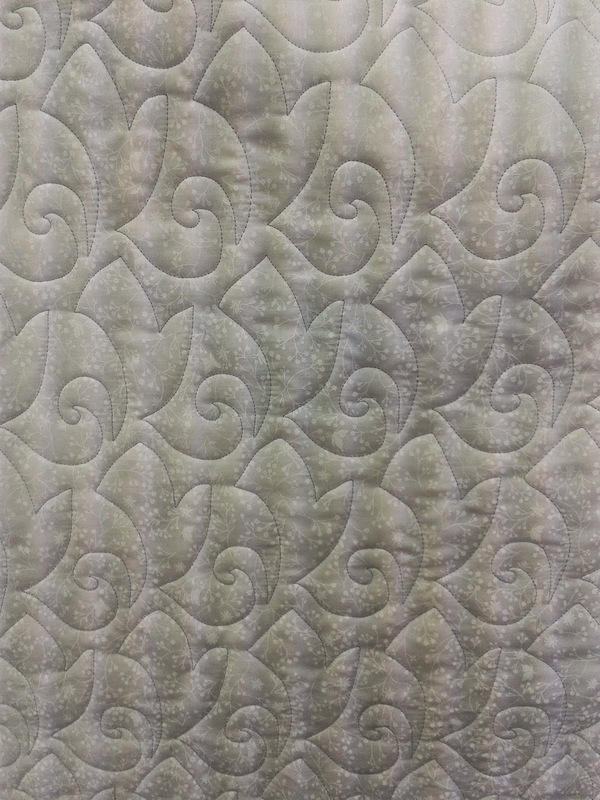 Slowly getting my speed up and ended up having a good week for quilting customer's quilts. Needed to so I could get back on track as I need to finish two custom quilts by the first week of October!! No pressure lol. 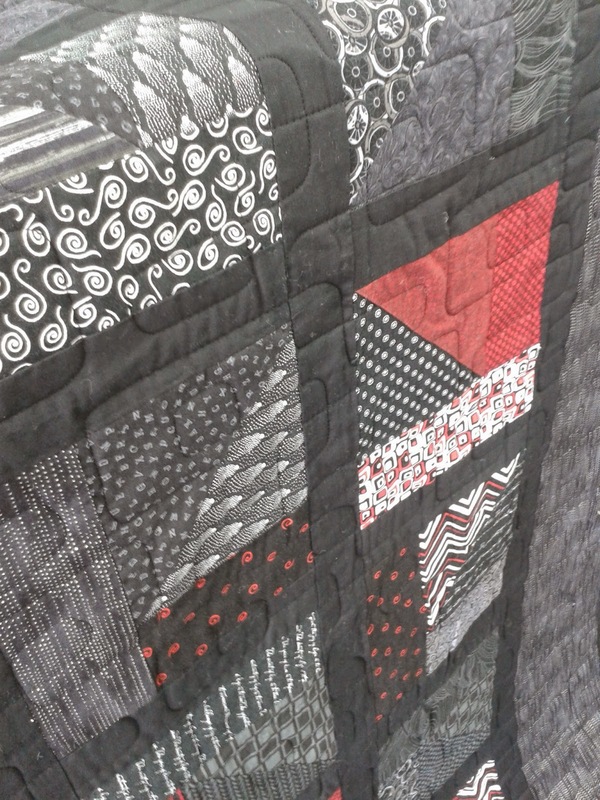 This is Bev's gorgeous black,white and red quilt that she has made for her grandson. 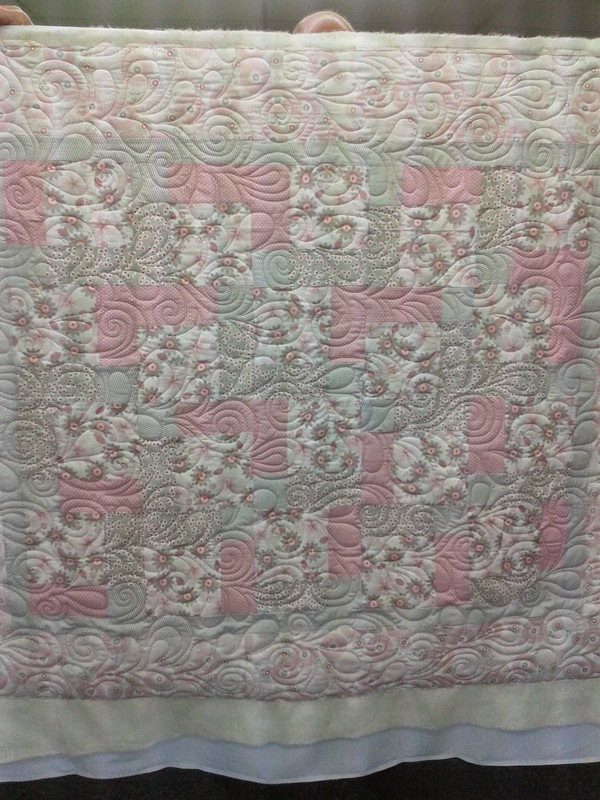 A truly lovely quilt and it came up really well. I used So Fine black thread - my favourite thread to use. 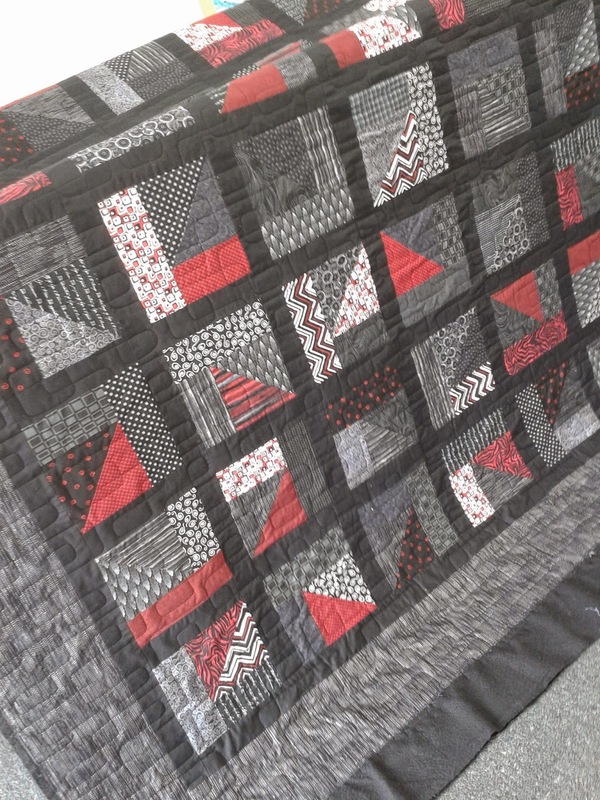 The pattern is Cool Beans, a modern look that is so smooth to quilt. Love it. The back is actually pure black, it is the lighting that is making it look lighter. 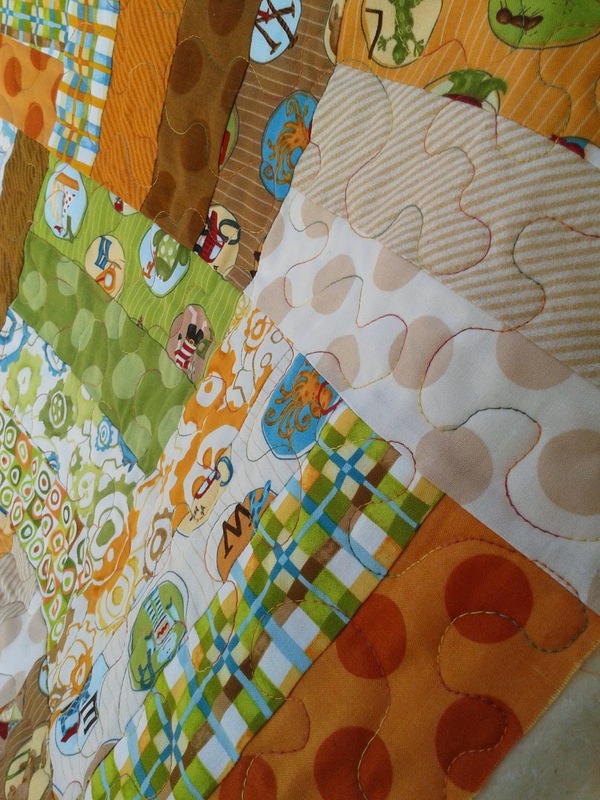 Then it was on to Darrell's scrummy wee cot quilt. 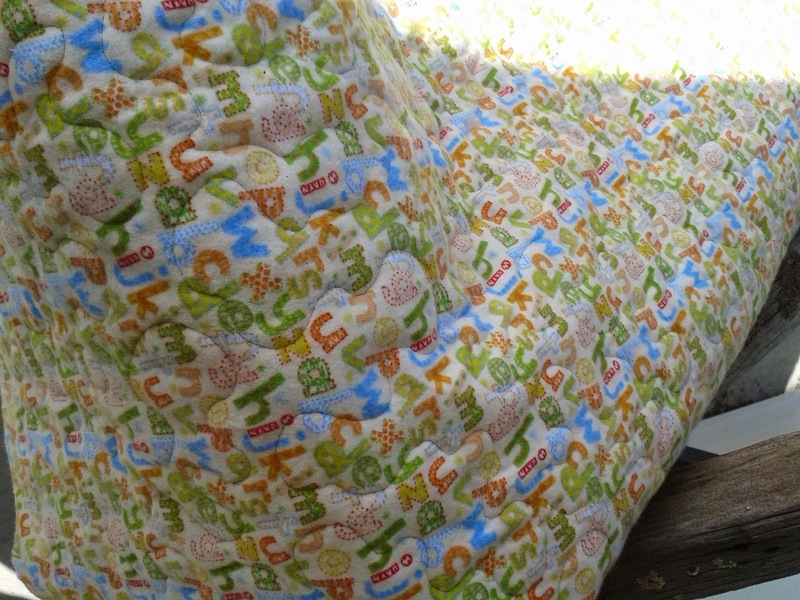 It is a super simple pattern that really highlights the yummy fabrics. Love these colours. On the back Darrell had a lovely soft flannel with the abc on it. Used a lovely variegated King Tut that had mix of orange, green and tan. 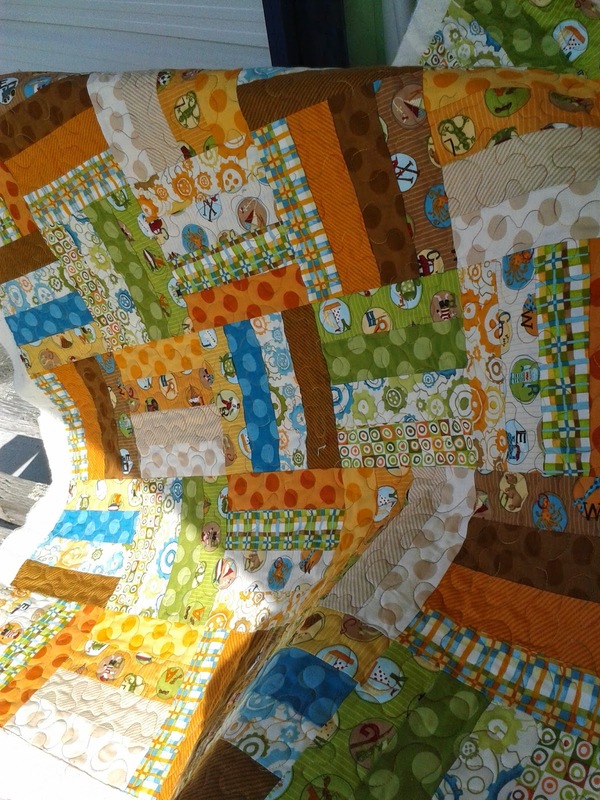 Thanks Darrell, loved your quilt. Then it was onto the next quilt. 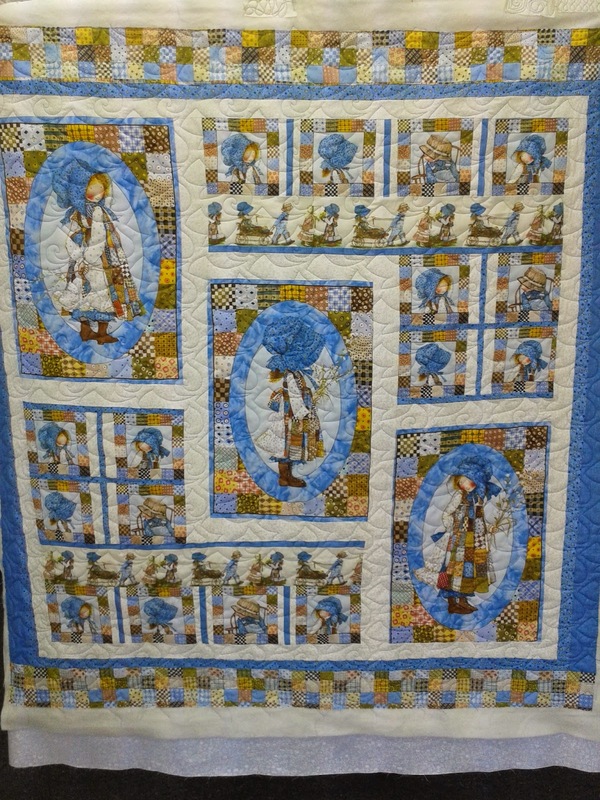 This is a lovely Holly Hobbie quilt that Linda made. Brought back memories of my girls! I used an oldie but a goodie pattern called "Art Deco" which comes up so nice. The thread was So Fine 473 Blue which looked great. It looks really lovely on the back which is a tone on tone white fabric. 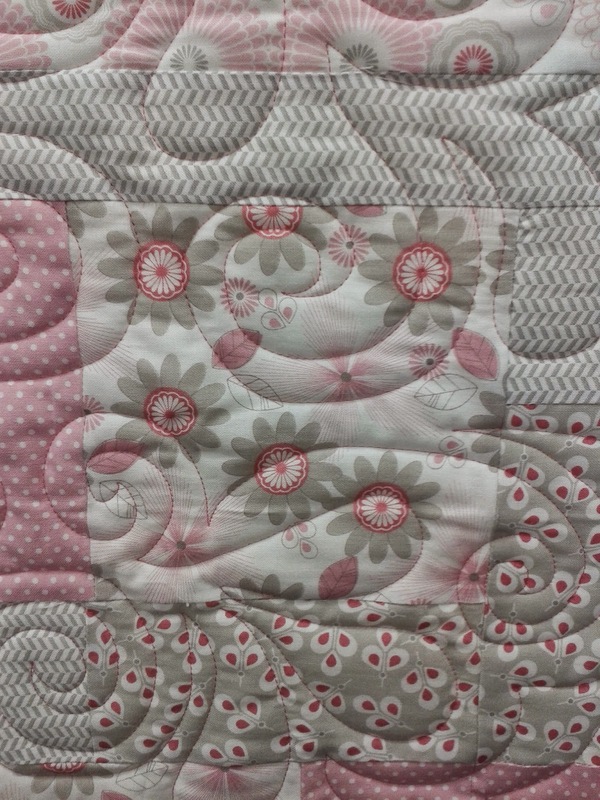 And last for the week was this lovely pastel pink and grey quilt also made by Linda. Oops, that's my beloved's lovely hairstyle there!! This time I used the pattern "Tickle Too" and another So Fine thread in a medium pink colour. Looked great. 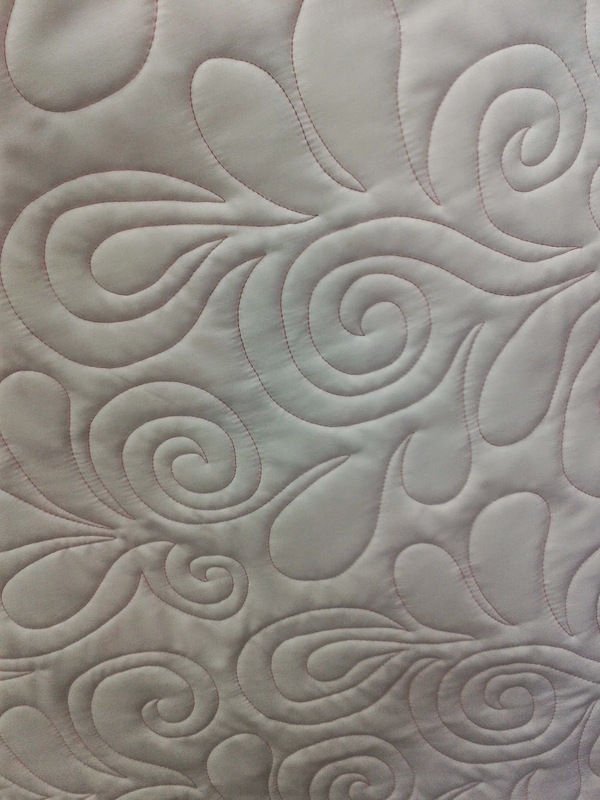 Back view on the white quilters muslin. 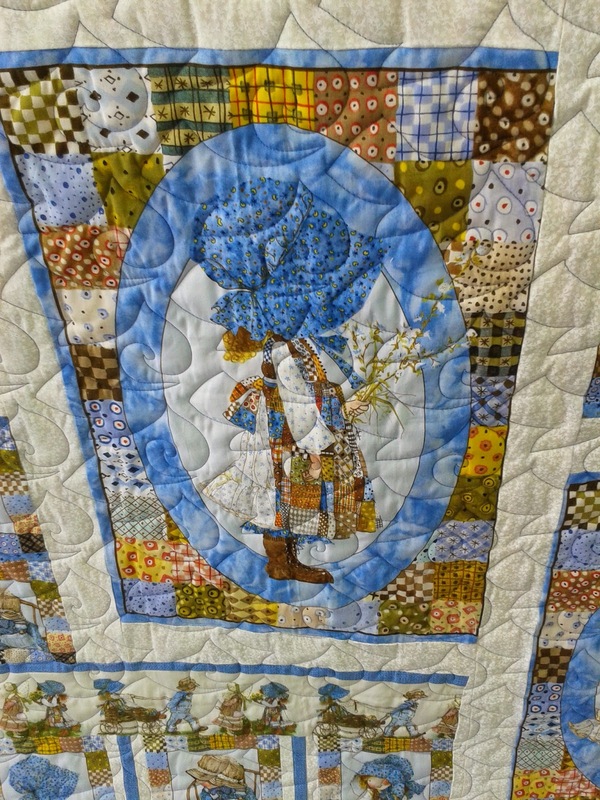 We were going to use the other half of the white tot used on Holly Hobbie until I spotted a flaw right in the middle of it! 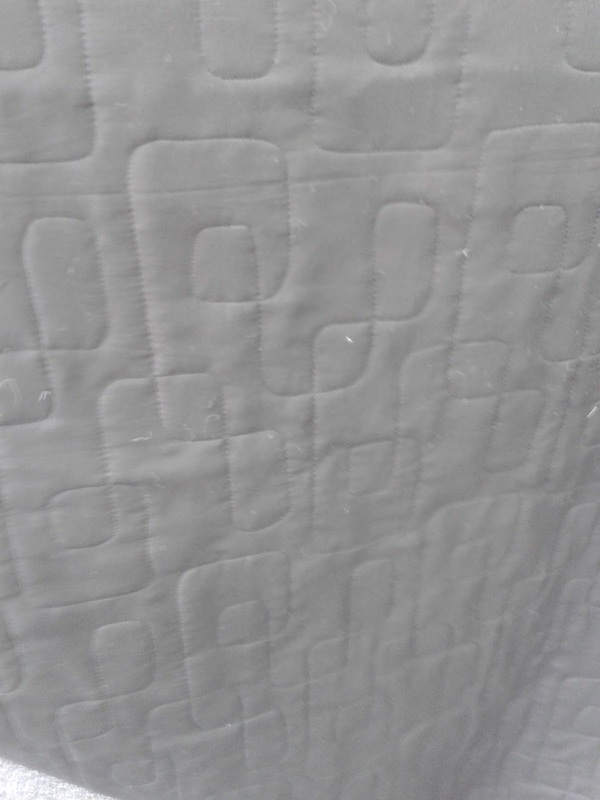 Thank goodness I found it before it was quilted. The first weekend in September is always "The Festival" up at Pukeora Estate which sits atop a very high hill that overlooks the whole of Central Hawkes Bay. I hadn't been for some years so took up my friend's offer to go with her and her hubby Chris. 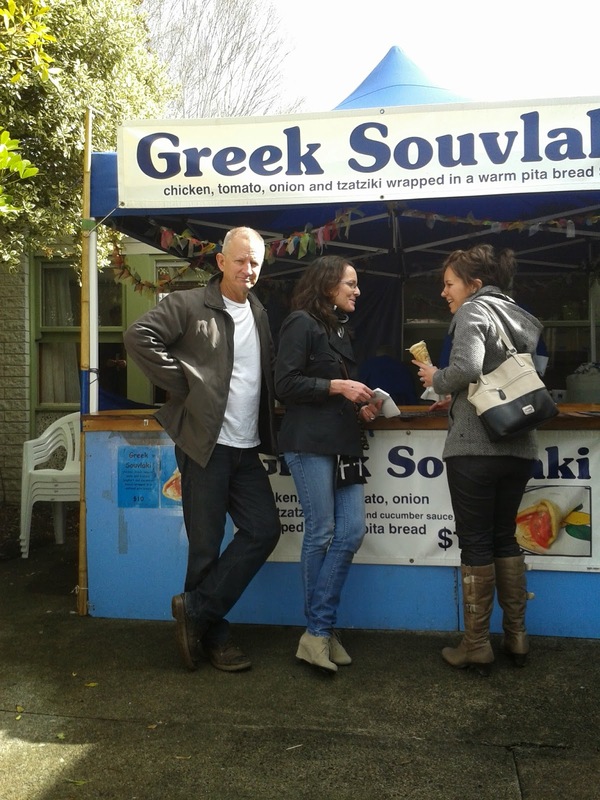 We had a lovely time and this is the lovely couple at the food stand where we got our yummy lunch. It was so interesting walking around the large number of stalls and see what wonderful creativity many people have. Hope you have enjoyed the catch up. Talk to you again soon.